"Hope for me, I hope for you..."
Edinburgh in the Festival is at once magnificent, tawdry, chaotic and wonderfully enjoyable. This riotous collision of artistic creativity, street bonhomie, international yoof, the arts establishment and the Edinburgh bourgeoisie is now a great international occasion. It is played out against the mad, thrilling topography on which the Old Town sits with the Castle Rock at one end and Arthur’s Seat at the other, adjoined by the restrained elegance of the New Town. Together these make Edinburgh one of the great cities of the world. How extraordinary that Scotland, with only one tenth the population of England should, in Edinburgh and Glasgow, produce two such exceptional European cities - so different from the English cities stunted by the overwhelming dominance of London. In some sense the grandeur of Edinburgh is the physical expression of Scottish nationhood denied political expression by the Union and at the same time made possible by the prosperity of the British Empire in which Scots played such a prominent role. It is also a physical expression of the class division and inequality in Scottish society, even greater than in England. Edinburgh lives off its extraordinary topography, urban design, architecture and the breathtaking juxtapositions which create endlessly fascinating and exciting townscape. Of course Train Spotting highlighted the rather less picturesque aspects of life on Edinburgh’s outer estates (again a very European model). Then there is that other Edinburgh, the sprawl of business parks, shopping centres, new universities, hospitals, all strung out around the City bypass and especially towards the airport – a parallel economic universe. Edinburgh is in many ways a polycentric, dispersed city with most activity on the outside and the centre reserved for tourists (except for the execrable concentration of gargantuan new offices to corporate greed between the Usher Hall and Haymarket). But Edinburgh is also Sea City. The views of the Firth of Forth from central Edinburgh, with the hills of Fife and East Lothian beyond, are quite stunning and finer than those of any other maritime city contender. Terry Farrell in his recent and evidently frustrating role as design guru for Edinburgh immediately recognised the potential of the city’s neglected waterfront to be a third element – ‘Sea Town’ -alongside the Old Town and New Town. 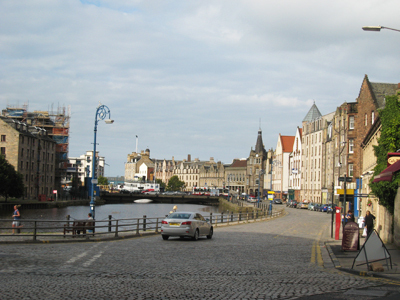 The main focus of Sea Town is the port of Leith. Ironically this largely lacks extensive views of the sea which is cut off by the docks, the object of huge waterside redevelopment proposals. Will these match the magnificence of the location? Will this be different from - better than - dockland regeneration in that other Celtic fringe capital or at Media City, Cruise Ship City and elsewhere? Early examples are far from encouraging. Leith developed around the mouth of the Water of Leith whose peaty waters flow into the Forth about 2 miles north east of the kitsch bagpipers on Princes Street. 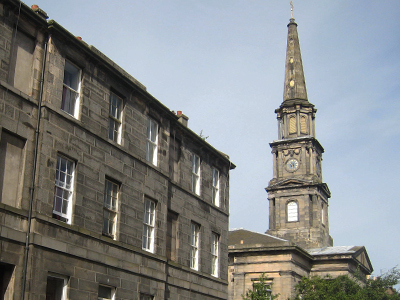 Leith has always been a place apart from, but bound to, Edinburgh. It was a separate Burgh until 1920 and so as well as imposing port buildings it has its own civic buildings including 2 town halls, courts, innumerable churches, assembly rooms, institutes etc. 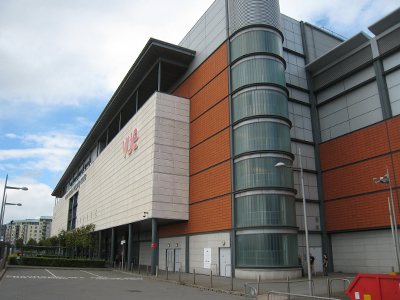 It even had its own main line terminus but the fine train shed was inevitably destroyed for a supermarket (Tesco). The docks, begun in the early C19th, were relatively modest until the construction of massive breakwaters in the C20th. These enabled large scale land reclamation for the port and industry – at the same time cutting off the town from the Firth. "Copenhagen you're the end, gone and made me child again"
By the 1970s Leith had fallen on very hard times. Much of the historic port area around the Shore was derelict. 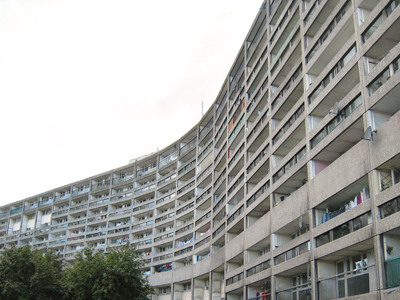 Interwar council estates suffered from acute problems (also known as poverty) as with so many Scottish estates. 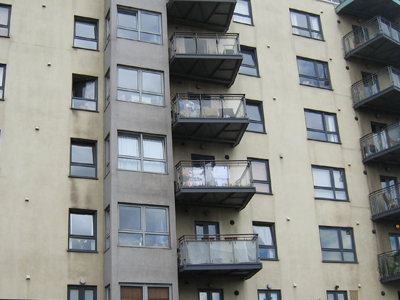 New blocks of flats built following slum clearance in the centre were reviled. 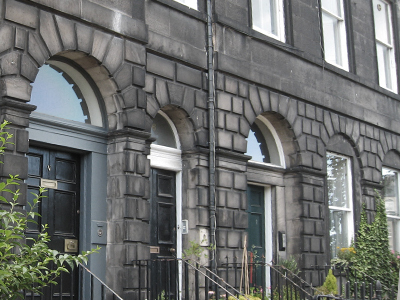 Leith was a pariah for the Edinburgh establishment and when, as MSc students, we chose to do a project on its regeneration our course tutors thought we were mad. And possibly we were as the scale of the problems was so enormous. That was over 30 years ago. For the next 20 years not a lot changed except, very importantly, tenements were improved not demolished. Then in the late 90s and early in the new century there was an extraordinary urban renaissance – Leith became hip. Amazingly the old warehouses along the Shore were renovated as apartments. Posh restaurants opened up and Malmaison arrived. Gap sites were redeveloped, maybe not all of the quality you might have hoped for but generally of the right scale and fitting comfortably into the urban morphology and street structure. So far so good, but as the RBS bubble expanded (and Edinburgh had quite a hand in the financial madness) the scale of development got bigger, greedier. The focus moved from the Shore to the vast expanses of the largely redundant Leith Docks. 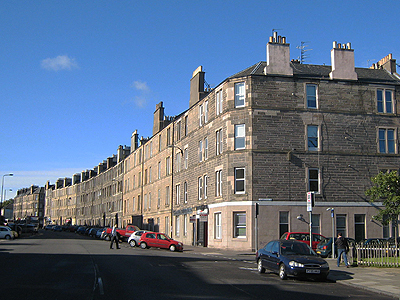 Most people arrive via Leith Walk, that amazingly wide Georgian street which links the New Town to Leith. However an even more staggering approach is Easter Road, the earlier route from the Old Town and now the wonderful new Scottish Parliament. This is lined by tenements with shops at street level, not in gracious New Town style but rawer, freer, with many exaggerated Caledonian flourishes. 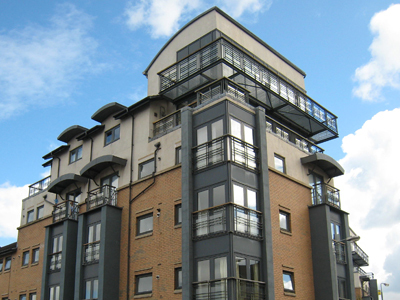 The tenements frame a miraculous view of Arthur’s Seat – townscape to die for. Around Leith Links there are lovely late Georgian terraces and villas, very much in the classical style but less structured and more organic than the New Town. 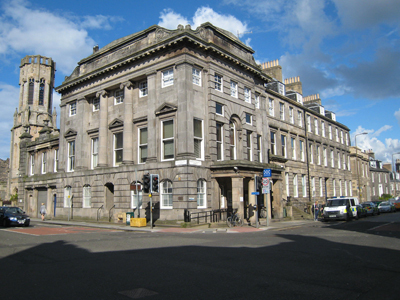 In North Leith there are also gracious late Georgian terraces around the neo-classical parish church with Ionic portico and immensely tall steeple, designed by William Burn (1816). This area with its elegant, sombre streets looks very like Copenhagen - on the same latitude across the North Sea. 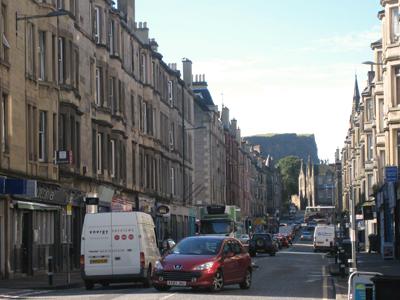 The ‘Foot of Leith Walk’ is the heart of Leith but a bit of a non event dominated by traffic like so much of Edinburgh, despite lots of excellent and high profile expert advice to the City. The Kirkgate shopping precinct of 1965 is inoffensive but fails to provide a focus whilst the18 storey Kirkgate House which terminates the view along Leith Walk is not tall enough or sculptural enough to be visually effective. 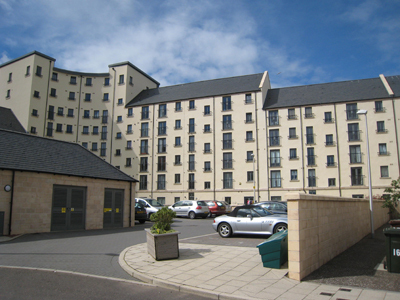 Far more exciting is the 10 storey but immensely long, curved Cable Wynd House by Alison & Hutchinson & Partners, 1966. Known as the Banana Block it has a fabulous rhythm of horizontal and vertical, but I was unable to convince my daughter of its virtues – ‘would I live there?’ Yes but….only if it was much better managed and maintained. There is a Michelin starred restaurant across the road. Constitution Street is full of excellent late C18th and C19th buildings including the earlier Town Hall of 1827 and the Assembly Rooms. At the corner of Bernard Street is the domed Corn Exchange (1865) with a gorgeous frieze, now very well converted to studios and a gallery showing an exquisite small exhibition of Japanese sculpture as part of the Festival. Bernard Street, which leads to the Shore, is the grandest commercial street full of banks and forms a wonderful wide, irregular space which should really be a square. Unfortunately it is part of the northern ring road. Between Bernard Street, Constitution Street and the Shore is a maze of wynds with much good regeneration and well worth exploring. 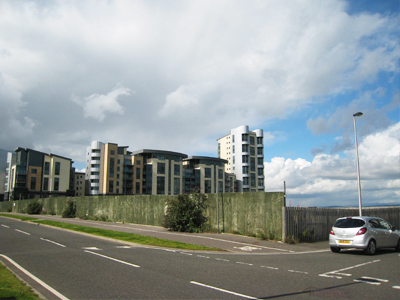 In 1984 the Buildings of Scotland lamented ‘not much townscape at the Shore – a few buildings amongst gap sites’. It is now the picture postcard bit of Leith. 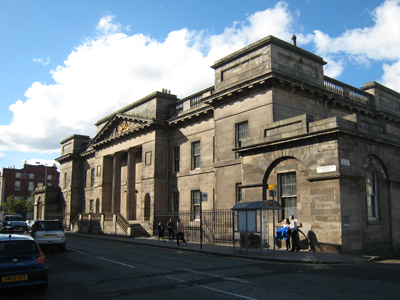 Across the harbour on Commercial Road is the severely neo-classical Custom House and beyond a long range of bonded warehouses forming the edge of the docks. Here we encounter the far less successful regeneration of Leith Docks. The bonded warehouses have been nicely converted to restaurants (including The Kitchin), bars and studios. 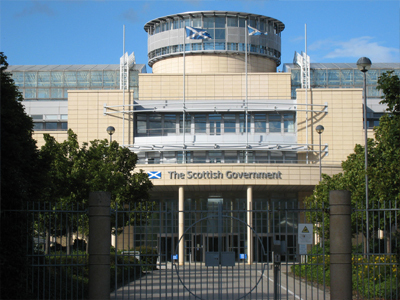 However across what should be a grand square or park they look out on the faceless and fearsomely bland new Scottish Government Office. The space is actually a heavily fortified car park. The Scottish Office monstrosity manages not only to destroy what could have been a superb public space but also to sterilise Victoria Dock on its seaward side. The construction of the docks bankrupted the City of Edinburgh in the C19th. They remained in public ownership until 1992 and soon after that the redevelopment began, which rather suggests that Macmillan was right about not selling the family silver. As Edinburgh boomed in the Blairite bubble massive developments of the docks were dreamt of – planned is not quite the right word. Masterplans were produced for Leith Docks and for the contiguous but disconnected Western Harbour with approval in principle for 18,000 new homes and 2 million plus square metres of commercial development. Blimey, that is big! Western Harbour is the more straightforward. This is a huge area of recently reclaimed land behind the western breakwater. There are stunning views across to Fife and up the Firth to the iconic Forth bridges. It should be pretty much a tabula rasa, except that some crass planning decisions mean its interface with Newhaven and Leith are a huge Asda, a David Lloyd shed and a service station style Premier Inn (which is worth staying in for its magnificent views of the Firth). The early apartment developments, seen like distant citadels across the wasteland, are Platinum Point and The Element. Desperately trying not to be entirely negative, it is worth noting that Platinum Point has quite attractive courtyard gardens which are accessible if not exactly public. But the scale is inhuman and the confused composition of forms and materials suggests mental breakdown. The Element on the other hand is just an expression of shocking greed, cynicism and incompetence. What is absolutely amazing is that the public esplanade along the water is so mean and minimal – 2 metres of tarmac between crude and already rusting railings and dominated by private car parks. Having made pretty much a hash of the first stages of the Western Harbour regeneration Edinburgh insisted on a new masterplan before further development. This was drawn up by Robert Adam and Alan Baxter, an inspired appointment. Not being an admirer of Robert Adam’s architectural philosophy I had not expected to be sympathetic to the conclusions. But where so many masterplans are promo documents long on ambition, short on credibility, skating over the problems and telling the developers and the planners what they want to hear, this plan actually starts with an honest and realistic assessment. 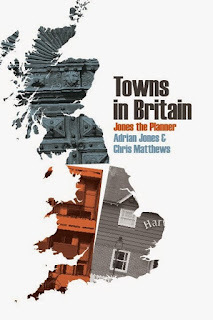 It considers the context, the climate, the connectivity, looks at building traditions and why Scottish towns are the way they are, as well as north European examples. It provides for a layout of traditional streets around a major new park (the size of Princes Street Gardens) and gives detailed design guidance for the individual blocks. This is an excellent example of masterplanning, but obviously only as good as its translation into actual development. The first blocks to be built out following its adoption suggest a developer screaming and kicking and only a half hearted commitment from the planners. 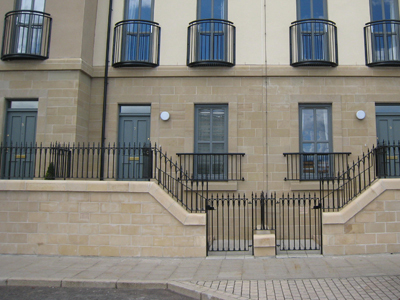 Although some of the key principles of design can be discerned – the adherence to traditional streets, front doors, small front gardens, re-interpretation of traditional terrace hierarchies and orders - much of the design is weak and lacking detail and depth of modelling. Although there are front gardens the backs are a sea of car parking with the most utilitarian elevations. Worse still the corner at the main entrance eschews orders and scale altogether for a traditional bombastic developers’ ‘wow factor’ curved penthouse block. Delivering a high quality Sea Town is clearly not going to be easy. Meanwhile in 2005 the privatised Forth Ports agreed a detailed Leith Docks Development Framework with the City. The stated aim is ‘to create a sustainable, commercially successful, well designed waterfront development which will transform Edinburgh into an international waterfront city’. In 2008 outline permission for this massive scheme was agreed but the financial contributions (development tax) were not concluded. The development was predicated on and conversely justified, the ill fated Edinburgh tram, which is now not arriving in Leith anytime soon due to the bizarre procurement of public transport in this country. With the financial and property crash casting a very dark shadow a revised outline application has been submitted for a much smaller inner area of the docks – now to be known as Edinburgh Harbour. Urban Design Guidelines accompanying the application draw on a litany of regeneration examples from Amsterdam via Baltimore, Bilbao, Chicago – let’s stop at the Disney concert hall in LA. Everywhere the sun is shining on glistening water and smiling happy people. But here I am at ‘Edinburgh Harbour’ in August with leaden skies and a howling wind whipping across the water. 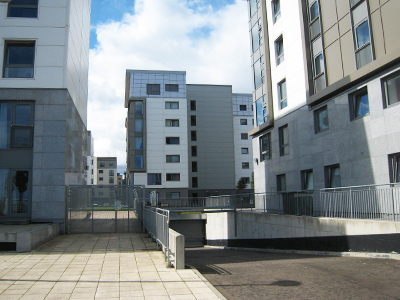 Having lived in Edinburgh I know the climate is perfectly congenial, but dockland developments with their exposed position, the large bodies of water, the micro climates created by tall buildings and lack of effective street enclosure tend to make for a hostile environment. I strongly suspect that reliance on waterfront activities as the focus of a community of this scale is a mirage. The Element - your vibrant and active waterside? The UDG says a lot of the right things but comes across as the triumph of hope over experience. Yes - mixed uses, yes - active street frontages, civic squares, community parks, vibrant and active waterside, cycle networks etc, etc. Definitely remodel the recently constructed Ocean Terminal to be outward facing and provide a pedestrian axis to the waterfront (good luck with that one). But when it comes to specifics the masterplan fails to convince. Firstly the building heights supposedly based on the principles of place-making actually look more like the maximum the developer can get away with, taking into account prescribed views and the impact on older buildings. 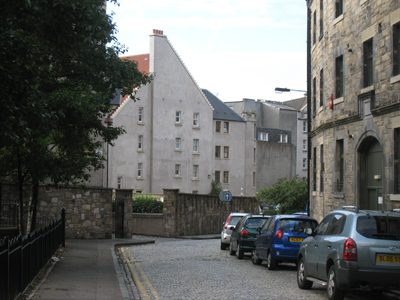 The general height of new blocks is some 8 storeys, about twice that of the traditional Scottish tenement with its well proven track record of townscape and place making. Some of the street blocks go up to 13 storeys, so God help the vibrant street life below. There are two towers on the harbour edge, one of 26 storeys, which seems a far more sensible strategy than piling up flats above the street – just go and look at The Element to see what that will be like. Secondly there is no convincing approach to parking. Overall 5,000 parking spaces are planned, including new multi storey car parks, but mostly the parking is in basements and undercrofts. The impact of this on street elevations, active uses and street life is all too predictable. And of course the problem is exacerbated by the greedy density of development and the lingering preoccupation with separation of traffic and pedestrians, itself antithetical to street life. Then the various public plazas lack real focus, activity or sufficient critical mass to be really vibrant people places even on a sunny day. The development of Leith Docks is a huge project and hugely important to Edinburgh. Planning for it has been going on for over 10 years but the principal player has not been the City Council but the privatised Forth Ports whose day job is, err, operating ports. This is very different from, say, Hammarby Sjostad in Stockholm where the City took the lead with a clear long term plan. 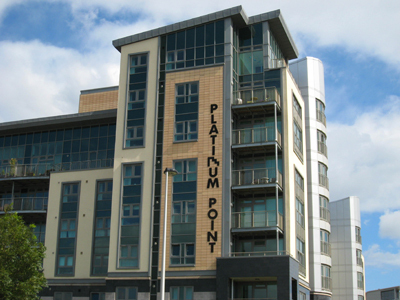 Come the recession and grand regeneration plans are floundering. Edinburgh recognised that development on this scale would need to be ‘kick started’ by public funding but, just as it got approval for this, Forth Ports pulled out of the deal and put the site up for sale. Having made hundreds of millions on the sale of overpriced land Forth Ports now see the property game is over. They now plan to ‘reindustrialise’ the huge outer expanses of the docks with a new bio-mass plant and wind turbine production which actually sounds like a much more sensible strategy. Even so the residual areas for future housing around the inner docks and at Western Harbour are huge. Might as well knock it down and build something worse eh? In the regeneration game Scotland has the advantage of a less dogmatic, more flexible, government and a more urban tradition than England. This is exemplified by the tenement which, despite some drawbacks (I know, I’ve lived in tenements), is the best model for high density city living. 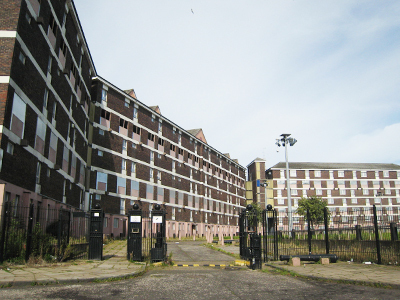 But Scotland in the C20th also had a tradition of building really poor public housing environments. 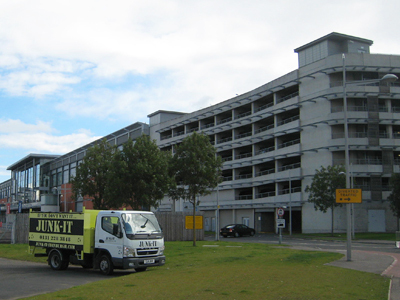 Close to Ocean Terminal are blocks of 70s flats boarded up and waiting for demolition – massively wasteful of public money and embodied energy. It will be a tragedy if these mistakes are repeated in the C21st. If this is to be avoided then architects, planners and urban designers need to be far more realistic about the developments they are promoting and far more careful in detailed design and layout. "And our love is, an antique song..."
Leith illustrates the opportunities and the problems very well. 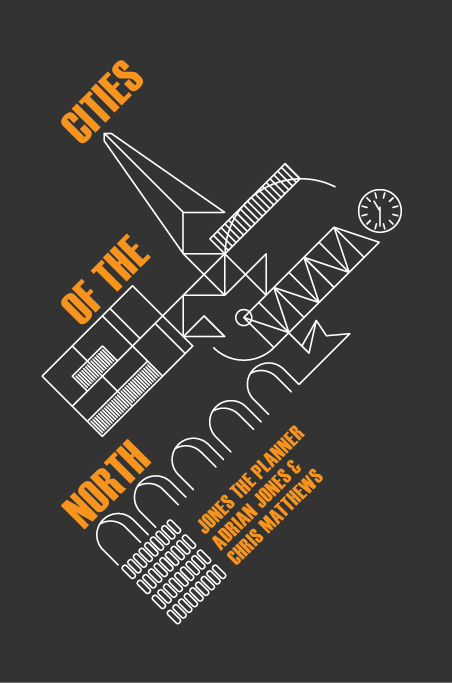 We are clearly at the endgame for brownfield regeneration fantasies loosely based on the Urban Renaissance prospectus but translated by cynicism, naïve optimism and carelessness. The market has changed fundamentally but the need for housing, for regeneration of urban areas and brownfield land remains ever more pressing. Different models for development are required with an end to free market shibboleths. Translated, this must mean a lot more Council housing in humane, well considered environments - not more of the same dross we see at Leith Docks and so many other vibrant regeneration lash ups. This will require architects and planners to have confidence in taking responsibility for design outcomes and to honestly learn from past mistakes - something they have not been too good at in the recent past. I enjoyed this post very much (and your previous ones), next time I am in Edinburgh I will have a look. But you say "different models for development are required" and then "this must mean a lot more Council housing". I don't disagree with the desirability of new Council housing, but is that going to be a "different model for development"? It's obviously different from the free market developer model, but is it realistic to expect Council housing to come to the rescue? I have been involved for many years with projects in Berlin, where the social housing program has been completely cut. There is a group of architects there (www.teameleven.org) who are trying to develop alternative models for building reasonably priced housing, and talking with the city government, who still owns a lot of land, but has been busily selling it to developers to pay off its debts. Who knows what will come out this, but surely it is worth trying to find a way out of the free market/ council housing duality? Jack, good points - I don't pretend to have the answer but we are clearly facing a huge housing crisis. The Pickles dash for development (in England)is pretty evidently not going to succeed and would not provide the answer to affordability anyway. I am sure you are right that more fundamentally different models are required in addition to more direct provision and the Berlin stuff sounds very interesting - would like to learn more. surely it is worth trying to find a way out of the free market/ council housing duality? (belated pennorth on this, sorry). What the Greater London Authority and others did to overcome the council/free market duality was have a compulsory percentage of 'social' or 'affordable' housing, which could mean shared-ownership, Housing Association, 'affordable to buy' or even studio flats. It was elective, limited and frequently outright overpriced in a way council housing wasn't and isn't. It isn't perfect, but the point with council housing is that it's still the only genuinely universal, genuinely 'affordable' solution for a great many people - hence the huge waiting lists in the UK. 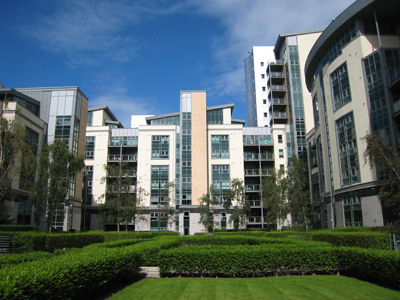 The attempts to create a 'new model' through the Housing Associations have done very, very little to stop the ever-increasing forcing out of the working class from the metropolitan centre. There's no better model available, to my knowledge. That doesn't preclude thinking about one - but the problem is that the 'social housing' alternatives to public housing over the last 20 years have been extremely unconvincing, in the UK at least, so insisting 'no, we mean council housing' has some value. Whether it's realistic from the current government, I doubt it - any room for sane manoeuvre in it is closed off. Does that mean we should accept those parameters? 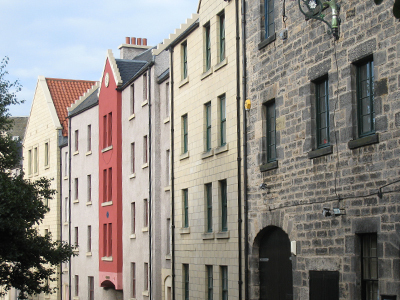 Another great article on the hodge podge that is Leith and its docks. I would like to pull you up on one thing, you mention that the grandeur of Edinburgh is the physical expression of the inequalities in Scottish society - fair enough - but you then go on to say that social inequality and class division is worse than in England. Where did you hear this? That is absolute nonsense. Almost every measure is better in Scotland - for example, the Scottish Gini score is 31 (around the OECD average) versus 35 for the UK overall; child poverty is lower; and comprehensive, community-based education is the norm, not the exception that it is quicky becoming in England. I am sorry but you are completely, utterly wrong. Thanks, Adrian might be better able to clarify this point but I think it was based on land inequalities - re: 60% of Scotland is owned by less than 1000 people. I meant the quality of Edinburgh's architecture was in part made possible by the inequality of Scottish society in the C18th and C19th which I think was even more pronounced than England but really the English comparison isn't important. Good if Scottish society is more equal than England today but I suggest looking at large swathes of outer Edinburgh not yet good enough.